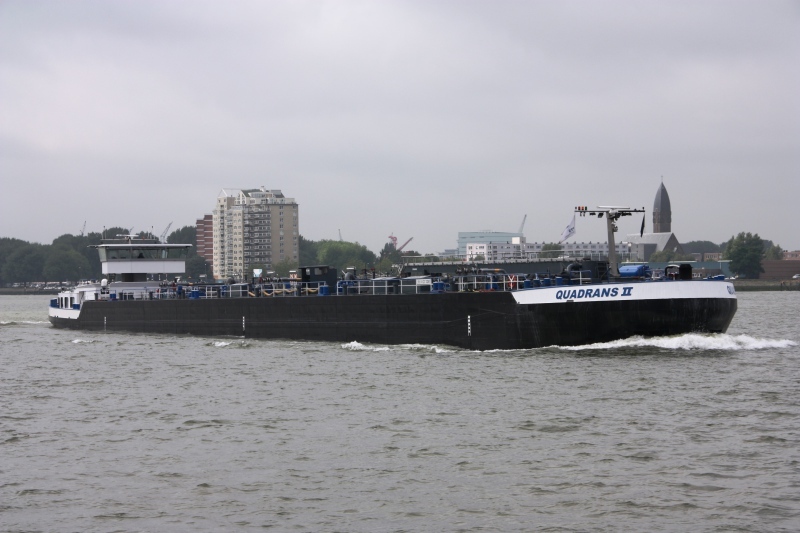 inland motor tanker QUADRANS II spotted in Rotterdam area, September 22nd., 2013. LxBxd = 110,00 m x 11,45 m x 3,77 m - 3.221 tonnes. Main engine Caterpillar type 5312(C)DI-TA electronic, 1.349 kW (1.835 HP). This photo has been shown 144 times since it was added to the site.